What is the USTC Subject Classification? ProQuest is collaborating with the Universal Short Title Catalogue (USTC) at St. Andrews University in Scotland to leverage the USTC to improve access and discoverability of materials essential to researchers of the early modern era. USTC is a fast-growing, online analytical database of books published from the first age of print through to 1601. The database of 364,000 bibliographical items identifies the physical location of surviving copies throughout the world. In June 2016, USTC coverage will be extended to 1650, doubling the size of the resource. ProQuest will use the database to identify the location of collections that can be digitised and made available to researchers through the continuously growing number of volumes in its Early European Books (EEB) collections. Created in conjunction with academics specialising in early modern literature, the USTC database is funded by grants, including a recent award from the Andrew W. Mellon Foundation, enabling the project to continue through 2018. Cataloguing all books relevant to the era, the database records where titles can be found throughout the world - an invaluable aid to ProQuest's ongoing project to identify and preserve these rare resources through digitisation. 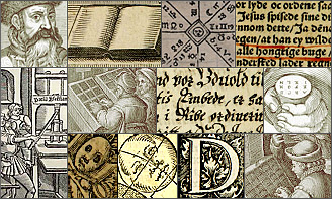 ProQuest and USTC have been partners since the inception of the Early European Books project. More recently, the USTC have reviewed and standardized the EEB dataset on the following fields: place of printing, region of printing, language, and year/date range. - USTC subject classifications have been added, providing a new, fully searchable component to the EEB platform. In the Middle Ages, dissertations already formed part of an academic degree. The candidate would defend their thesis in public before the Praeses, the college of professors and his colleagues. With the invention of the press, dissertations started to be printed; they were usually in Latin, the lingua franca of the academic community used throughout Europe. The theses were often printed in broadside format, that is, on a whole sheet of paper, unfolded and uncut. This was because they were meant to be fixed to a wall or a door to announce the event, as well as being distributed to among the attendees. Theses were also preserved in smaller editions, in quarto, which survive more widely to this date, since they could be easily bound together in a single volume. In whichever format, these texts offer important insights into early modern academic practices and student life. The genre of the aphorism has enjoyed a long history. “Aphorism” literally means “definition” and usually consists of a short statement about a certain topic, often expressed with a witty turn of phrase. It’s no accident that much later they were a form favoured by Oscar Wilde. But as a genre, the aphorism has divergent origins, from the Sutra tradition in India, to the apophthegmata in Ancient Greece, and to certain books of the Bible. This genre was very popular in the early modern age. It existed in a variety of forms and lengths, from Erasmus’ Adagia, to collections of popular proverbs, and to Andrea Alciato’s Emblematum liber. Alciato’s great innovation was to marry iconographical representations to short poems of related content. This text represents a milestone of cultural production in the Renaissance, and underwent many editions throughout Europe. Texts related to agriculture, hunting or fishing can appear in a variety of shapes and sizes, from Oppian’s classical poems, dedicated to emperor Marcus Aurelius, to Ulisse Aldrovandi’s Ornithologiae, published in Italy at the end of the sixteenth century. All of these texts attempt to further practical knowledge about the relationship between man and nature. Some of these printed items did so with the aid of wonderfully executed engravings, such as the works by Aldrovandi, while others were complemented by aphorisms of ancient wisdom or presented as strictly taxonomic texts. Works on falconry, in particular, were the traditional domain of noble readers. Examples of these can be extremely rare, since they were often worn to destruction through reading. The early modern age was a time of revival, rediscovery and most of all, passion for Classical Antiquity. The greatest architectural treatise of the time, Vitruvius’ De architectura libri decem, was rediscovered in 1414 by Italian humanist Poggio Bracciolini, and enjoyed a celebrated influence thereafter. It inspired work by great architects of the day, such as Andrea Palladio, Pietro Cattaneo and Sebastiano Serlio. Its analysis of proportions and the golden ratio was applied not only to architecture, but to symmetry in all things: the works of mathematician Luca Pacioli in Italy, typographer Geoffroy Tory in France and artist and engraver Albrecht Dürer of the Holy Roman Empire stand in many ways as extensions of Vitruvian principles. One of the greatest sources for those who study the Renaissance in pictorial and iconographical arts is the Vite de gli architettori pittori et scultori by Giorgio Vasari. This is the first text ever written on art history, and remains to this day an essential and fascinating read. Some of the greatest publishing projects of the sixteenth and seventeenth centuries were associated with extraordinary discoveries in the field of astronomy. In 1543 Nicolaus Copernicus published his De revolutionibus orbium coelestium, postulating his heliocentric theory. A prologue to the edition, authored by Copernicus’ disciple Georg Joachim Rheticus, depicted the great work as a mere theoretical exercise, thereby distancing the pious Christian author from the arguably blasphemous content of his book. The De revolutionibus was read by all the greatest mathematicians and astronomers of the time, as Owen Gingerich showed in his monumental census of the 1543 and 1566 editions. The subsequent activities, observations and discoveries by Tycho Brahe, Johannes Kepler and Galileo Galilei, all rest upon the shoulders of Copernicus’ treatise. These printed works are rather varied in quality and guise; Tycho Brahe even established his own press at Uraniborg, where he conducted his astronomical observations, to ensure that text and images should be reproduced properly. The work of these great scientists is not only representative of the giant strides in scientific progress made in early modern Europe, but a testament to the complicated relationship between the European Christian tradition and the evolution of the scientific method of enquiry. The Bible was arguably the most influential text in the early modern age; it is not by accident that it was the first book printed in the West. The debate over who should be able to read and interpret the Holy Scripture, in what form, and in what language, was critical not only to the pursuit of religious beliefs, but to the outbreak of conflict across Europe and to the formation of a new European map. The vernacular translations of the Bible, the official adoption of Saint Jerome’s Vulgate after the Council of Trent, and the proliferation of commentaries in all languages and for all readers are all bear testimony to the supreme importance of this text. The advent of the hand-press book in the fifteenth century and the proliferation of local presses was not an inevitable success story. Indeed, failure befell many of the newly established presses – for example, that of Sweynheim and Pannartz near Rome - as the marketplace overheated with too many editions of the same texts. It took decades before printers and publishers realised that the production of books was to be treated strictly as a business proposition if they wanted their activities to succeed. Regulation of the book trade, cataloguing of books available from individual bookshops and sale catalogues of private collections were all manifestations of the same phenomenon. Printing firms tried to diversify their production, or specialise in a specific genre, in order to establish their own market corner. Commercial sponsorship also started to be exploited at a very early stage, as in the case of the edition of Aristotle’s Ethics, financed by the Marnef brothers in early sixteenth-century Paris. As presses flourished all over Europe, it became clear to the Catholic Church that structures needed to be in place in order to control printed output and, of course, print content. This led to the reiterated update and publication of the Index librorum prohibitorum, the index of prohibited books. Later policies included the compilation of booklists to suggest constructive readings, such as the Bibliotheca Selecta, composed by Jesuit Antonio Possevino. Among the most ephemeral items in the early modern period, calendars, almanacs and prognostications were among the most popular types of text and the most used. They offer remarkably insightful clues to the current affairs and trends of the past. Calendars and almanacs were commonly printed as broadsheets, on large, unfolded sheets, and were intended to be pasted on a wall just as posters are today. They usually included some kind of illustration, since they sought to gain the attention of the illiterate equally as much as the literate. To make reading easier on an overcrowded sheet of text, these pages were often printed in red and black rather than just monochrome. In the seventeenth century, the great age of engravings, it became customary that these items include a large illustration, as well as the yearly calendar. Prognostications were also produced annually, although they might be related to a specific event, such as the appearance of a comet in the sky, the alleged sighting of a dragon above a city, or of a monstrous birth. All of these occurrences would prompt fearful expectation among the European public, and the press would readily provide related content to satisfy demand. French author Michel de Nostredame, usually Latinised as Nostradamus, is without doubt the most famous seer of these and all times. His prophecies were first published in 1554 and became a bestseller throughout Europe. The great success of this genre may be attributable to its immense appeal across all layers of society: everyone, from kings and queens to peasants, was susceptible to the suggestiveness of prophecies. A rediscovery of the ancient classics, together with a new approach to reading them marks the soul of the Renaissance. The fall of the Eastern Roman Empire prompted a flood of ancient manuscripts into the Italian peninsula, where the likes of Poggio Bracciolini and Lorenzo Valla established the foundations of the philological method, and where Aldus Manutius was the first to seize the potential of combining a humanist scrutiny of ancient texts with the capabilities of the printing press and the powerful trade connections of the Venetian Republic. Thanks to an impressive network of collaborators and friends, he was thus able to bring to light Latin and many Greek texts for the first time, and to market them throughout Europe. Many similar ventures were founded by humanist printers, such as the Estienne in Paris and Geneva, or Amerbach and Oporinus in Basle. The editions of the classics were later popularised thanks to the duodecimo format that was the signature feature of the Elsevier dynasty in the Low Countries. With the development of the printing press, the editions of the classics also developed, aiming at different sections of the reading public. To the great folio editions, intended to be studied in the library by an intellectual elite, were soon added smaller volumes, in quarto, with interlinear space for students’ annotations, or the pocket-size octavos, made famous by Aldus Manutius. Modern translations were also a sign of the broadening of Europe’s readership: the Histories of Tacitus, Ovid’s Metamorphoses and Seneca’s Tragedies were among the most popular. Baldassarre Castiglione’s Cortegiano, one of the seminal texts of the European Renaissance, was first published in 1528. It enjoyed great success, not simply as a text that codified the behaviour of the perfect courtier, but also as a window onto court life at the time. The book had such an impact on King Francis I and his French court, that bibliophile Jean Grolier, at the time Treasurer of France, owned not one but eleven copies of the book. Many translations of this text were also printed. It served as inspiration for Giovanni Della Casa’s Galateo (1558) - a book which looked beyond the customs of the court to address the etiquette of everyman - and for Stefano Guazzo’s Della civil conversatione (1574), which focussed more specifically on the rules of conversation. Part of the Northern Renaissance, but translated throughout Europe, the moral treatises by Desiderius Erasmus were extremely popular. Unlike Castiglione in his Cortegiano, Erasmus was more interested in the interior etiquette of the soul, rather than in the outer appearance of one’s behaviour. His De civilitate morum puerilium is considered to be the first book of etiquette for children; and his Adagia and Colloquies also belong to this genre. Erasmus was deeply influenced by the principles of the devotio moderna, encouraging to piety, humility and interior devotion, which can be found in much of his work. During the Middle Ages, spices were among the most valued goods, the most rare, and were imported from hundreds and even thousands of miles away. The preservation of foods – especially meats - and the reality of poor transportation networks, had made spices an indispensable commodity for all good tables. But with the advent of the early modern period, both preservation practices and travel conditions had improved, with the result that early modern cook books featured a reduction in the use of preservative spices. This was the main innovation in Maestro Martino’s De re coquinaria, composed in Italian vernacular and later Latinised by Bartolomeo Sacchi, called “Il Platina”. His De honesta voluptate was one of the most famous cookery books in the Renaissance, so well known throughout Europe that his name became a byword for the text itself. With the seventeenth century, cookery books were revolutionised by French chefs. François Pierre de La Varenne, perhaps the greatest of them, was the author of two seminal works in the cookery arts. In Le Cuisinier françois, La Varenne postulates that spices (except pepper) are to be abandoned in favour of traditional French herbs, such as thyme, sage, parsley and bay leaf. The chef must work to retain the natural flavours of vegetables and meats; freshness of the ingredients is of paramount importance. His Pâtissier françois is considered the first text of modern French patisserie; the modern reader will marvel at the high degree of precision found in these recipes. These texts truly were the beginnings of French cuisine as we know it, and testify to the prominence of the French model in seventeenth-century Europe. The seminal text about rhetoric in the early modern age remains Quintilian’s Institutiones oratoriae, composed at the end of the first century AD. This text represents an all-round definition of the perfect orator, from his education, to the composition of the perfect speech, to the skills of persuasion, how to train one’s memory and what to imitate from past traditions. Quintilian’s text itself is very much inspired by Aristotle’s own discussion of rhetoric, and it retains the five canons of rhetoric already postulated by the philosopher: invention, arrangement, style, memory and delivery. Together with Quintilian and Aristotle, other classical authors remained essential to the tradition of rhetoric and dialectic. The Rhetoricorum Libri ad Herennium, long attributed to Cicero and written before Quintilian’s time, was an extremely popular text in the Renaissance, being printed all over Europe in hundreds of different editions. These classics were at the foundation stones of all later endeavours in the field. Drawing from them, Giulio Camillo, claimed to have devised a structure – the theatre of memory – that would enable anyone to master ancient disciplines and languages, and to train their memory. The later oration Pro suo de eloquentia theatro (“In defense of his theatre of eloquence”) was written as an apologia for his ideas. Regardless of whether or not this theatre was nothing but a fantasy, the entire concept was deeply rooted in the classical traditions of Aristotle’s Topics and the Rhetorica ad Herennium. Many of the rhetorical artifices described by the classics are still used in politics today. The standardisation of European vernaculars during the early modern period was an ongoing project that gained tremendous additional impetus with the invention of the printing press. The role of the polymaths – so called due to the many different types of text they produced in association with printing presses – was paramount to this process. Languages began to be codified, as in Pietro Bembo’s Prose della volgar lingua, and both dictionaries and grammars started to appear as vernacular language was newly deemed a suitable object of study. 200 years after the pioneer poetical achievements of the likes of Dante and Petrarch, individual endeavours came together as part of a wider, national project. The multi-lingual dictionary by Italian lexicographer Ambrogio Calepino was one such product of these efforts; Latin, Europe’s lingua franca, remained the foundation of Calepino’s work, but was complemented by various vernaculars. Later editions were supplemented by further additions, so that the 1590 Basle edition contained no less than eleven languages. Concurrently, grammars were compiled with the specific aim of teaching a language to a foreign audience, as in the case of Le Maître italien, ou Nouvelle méthode pour apprendre facilement la langue italienne. The distribution of these bilingual teaching tools clearly took their lead from the imperatives of trade relations and migration. So in the sixteenth century we find volumes demonstrating French and Dutch interest in learning Italian, while in the seventeenth century English-Dutch bilingual handbooks became common, for example Den Engelschen ende Ne'erduitschen onderrichter. Put another way, these books can be read not just as instruction manuals but as recorders of past cultural negotiations and encounters. Perhaps more than any other category, the discourses on government are truly the product of their time. Their authors were beyond doubt among the most acute observers of society, and that is why we always return to these texts when investigating a particular moment in history. In the early fourteenth century, Dante wrote his treatise De Monarchia, a highly innovative work in which he postulated the necessity that secular and ecclesiastical powers be independent from each other. This text, banned by the Church in 1585, still speaks, albeit in different ways, to the separation between Church and State today. Dante’s work was prompted by a recent papal bull, Unam Sanctam (1302), according to which the power for secular and ecclesiastical authorities had a single source, God. In other words, secular power was always secondary to ecclesiastical authority. This topic remained a main object of discussion for centuries to come, stimulating a steady stream of texts about the power of the Church and the power of the Pope, and how their power related to the State. Niccolò Machiavelli’s Il Principe, composed about two hundred years later, was also very much the product of his time. This controversial text, stigmatised and condemned both at the time and in subsequent years, reflected the precarious realities of the Italian peninsula’s territorial fragmentation. Machiavelli’s precepts are all ultimately geared towards the preservation of power over a small, vulnerable city-state. The core philosophy behind this work was harshly criticised in Giovanni Botero’s Della ragion di stato, in which it is argued that the prince must acquire his right to power through popular consent. We can already see in this work the seeds of modern society, though such ideas will more fully develop in the seventeenth century. The Leviathan by Thomas Hobbes (1651) postulated the necessity of establishing a “social contract” to make government legitimate. The social contract is needed in order to defeat the laws of the “state of nature”, in which all are set against one another. Another work partly prompted by powerful historical events – in this case the English Civil War – Leviathan shows again how texts in this category help us attain a view of what people felt and experienced in those times of transition and turmoil. The evolution of drama in the first few centuries of printing very much reflects the cultural shifts that intervened in this time. The Latin comedies of Terence and Plautus, as well as French medieval farce, dominated the first decades of print. The Latin texts continued to be popular throughout the sixteenth century, as witnessed by the many translations into vernacular; but it was Italian comedy which really dominated the Renaissance. It was in Italy that the Commedia dell’arte developed, a popular theatrical representation based on a loose plot, around which actors would then improvise. Many itinerant companies were active at the time, travelling throughout Italy and beyond the Alps. Out of this tradition grew many new texts, by authors such as Ludovico Ariosto, Ludovico Dolce or Alessandro Piccolomini. The Italian model was popular throughout Europe, and inspired both imitations and the creation of original works. In the case of Neo-Latin languages, Italian drama did not simply offer themes for imitation, but it also represented the linguistic model on which neologisms and new structures were derived in European vernacular drama. Lessons were quickly learned. Many Shakespearean plays - Romeo and Juliet, The Merchant of Venice to name but two - featured an Italian setting. But the seventeenth century was the age of great French and especially Spanish drama. Prolific authors like Lope de Vega and Calderon de la Barca redefined the popularity of theatre and its relationship with the printing press. Collected editions like Le théatre espagnol, ou les meilleures comédies des plus fameux auteurs espagnols show to what extent Spanish theatre had become the byword for drama as a genre. By the end of the seventeenth century, when France was the greatest power in Europe, theatre had become one of the most important sources of entertainment at court. The king had his own troupe, the Troupe du Roi, and a dramatist of the stature of Molière was given a royal pension in exchange for his continued services. Always a favourite spectacle for common people in the form of itinerant street shows, theatrical performances had also become the preferred entertainment for royalty and their courts. The advent of print prompted the emergence of practical texts as well as humanist ones; indeed, the former very much outnumbered the latter. If some merchants had long known the secret of reading, in the sixteenth century their numbers increased significantly. The proliferation of handbooks on arithmetic and account books speaks to this social development. Trade between territories also increased, and the many printed tariff books published ably reflect this. These volumes often contained tables with exchange rates, tables of measurement, introductions to foreign currency and distances between important trading centres across Europe. Such concordances were so important that they were often printed as stand-alone volumes. Subsequently, these types of titles have proved rare since they enjoyed only a limited shelf life. Broadsheets containing exchange rates were also common at quarterly fairs held in such places as Lyon, Frankfurt and Antwerp. For similar reasons, few of these have survived either. Educational texts were among the most common printed items in the early modern period. Due to their ephemeral nature, what is preserved today of books in this category is no more than a fragment of what European presses actually produced. We may consider how many of us still have the textbook used in primary school, and then imagine adding five hundred years in between us and that textbook, in order to get an idea of how unlikely it is that these editions would have survived to the present day. The Latin grammar by Aelius Donatus was perhaps the most popular manual of the Middle Ages and the Renaissance, to the extent that his name became a byword in inventories of grammar. Many other items existed, such as ABCs, both in pamphlet and broadsheet form, and little handbooks about how to compose letters for a variety of audiences and purposes. More texts of this kind appeared with the emergence of the European vernacular languages. Educational texts for children often featured a religious or moralising theme, thereby including moral lessons within a familiar context. Examples included editions of the Aesopus moralisatus. Although death was a familiar reality to those who lived in the early modern age, it was still the object of celebrations and sumptuous memorials, especially if the deceased was of important status. In Renaissance France, for instance, one would say that ‘the king never dies’; that is, until his successor was ready to take his role. The body of the king would be embalmed and prepared for the commemorations, and his effigy put on display; his heir would not appear in public until the end of the funeral, announced with the proclamation ‘The king is dead! Long live the king!’. A complex celebration, comprising royal entries, continuous bell ringing and the display of a catafalque with the coffin was the appropriate send-off for the old king. The printing press also played an important role in a time of such commemorative ritual. Funerals could be extremely visible events, not simply those of kings, but of any personality. Funeral orations were among the most collectible printed items, not because the deceased was known, but because their death was a matter of current affairs. A large number of these do, indeed, refer to royals and governors, but many others were also composed for poets, prelates, eminent doctors and so on. The family of a deceased of lesser standing may also commission one or more funeral orations, although these texts were not as collectible and do not survive as widely. Initially the funeral oration would be composed in Latin, although many also appear in the vernacular, possibly after a careful consideration by the publisher as to who his customers might be. The editions are often rather attractive, printed on good quality paper, and – especially those in Latin – typically do not appear well-thumbed. They remain nonetheless a very important testimony to the role of grief and commemoration in the early modern age. An enormous quantity of printed items related to recreational activities from the early modern age are today lost forever. Playing cards are likely to have been among the most popular items issued by European presses, yet what remains now are but fragments. Printed texts about games are another manifestation of similar trends, although of course they would be less widely disseminated, as they were more expensive, and usually belonged to the literate. One of the most common types of item still surviving today are manuals that teach chess, some of which were already printed in the incunabula age. The first printed representation of a chess board appeared in the 1482 edition of the Ars oratoria, published by Erhart Ratdolt in Venice. Other texts contained rules for dice games and, for the more active, for the jeu de paulme – a precursor of tennis. Although many such texts are now lost, we can glimpse the great variety of games played in the early modern age through texts such as Girolamo Bargagli’s Dialogo de' giuochi che nelle vegghie sanesi si usano di fare. This was first printed in Siena in 1572 and contained descriptions of many games that were popular at the time. Interest in heraldry and genealogy goes back to the Middle Ages. In England, for instance, the coat of arms became a symbol of prestige and lineage during the twelfth century. A coat of arms belonged to a family, and its elaboration through the addition of heraldic devices would tell the story over time of alliances through marriage. In that way, it was a rare instance where the role of women was given equal credit to that of men. With the invention of print, images of coats of arms and genealogical tables began to receive wider circulation. Incorporating them in printed volumes was a difficult challenge, however, since illustrations had to be executed often with great precision. This also made such volumes expensive to purchase. Genealogies were compiled on a territorial basis, such as the Genealogiæ aliqvot nobilium in Saxonia; they were redacted for individual families, such as the Orsini in Rome; and could also exist for individual cities. A case in point is the heraldic book of all patrician families in Venice, printed in 1568 and containing hundreds of shields. Copies of this book exist in which the coat of arms have been hand-painted. Even five hundred years ago when heraldic devices were more familiar to the public than today, the art of heraldry was a difficult one to master. This is why handbooks were created to school readers in how to read devices, such as the French Art héraldique contenant la manière d'apprendre facilement le blason. If the chronicle was very much a medieval genre, with great precedents such as Giovanni Villani’s Nuova Cronica (the chronicle of Florence), histories were a favourite literary endeavour of Greek and Latin authors such as Tacitus, Livy or Thucydides. The Renaissance revived both genres with a passion. This was the time of Lorenzo Valla, who had exposed the Donation of Constantine as a forgery and therefore undermined Church claims to territorial power; it was the time in which the roots of Classical Antiquity were being re-explored; a time in which conquest and discovery garnered celebration. Historical works married all of these aspects in the service of early European politics. Many translations of classical histories were issued by printing presses throughout Europe: by the end of the sixteenth century, Livy had appeared in French, German, Italian, Spanish, English and Dutch, as well as in the original Latin. Sallust and Tacitus enjoyed a similar fortune. But current events demanded more imperative attention, from the Italian Wars (1494-1559), to the political scene in post-Reformation Germany, to the Dutch Revolt. Historical text appeared in a variety of forms and lengths, from small pamphlets to larger volumes. They remain one of the most valuable and insightful sources for our understanding of early modern history. Legal texts represented one of the major arteries of the business of printing. Steady, safe investments could be made by those who could put capital into the production of large volumes of jurisprudence. These items might be slow-sellers, but they sold well, and rarely went out of fashion. Throughout the Renaissance, the legal canon was dominated by the Corpus Juris Civilis of Emperor Justinian and the related commentaries, which flourished by the hundreds. The most important commentators were Bartholus de Saxoferrato and Baldo degli Ubaldi, Italian jurists from the fourteenth century, as well as later commentators Filippo Decio and Giasone del Maino. The production of the large folio editions was often the object of specialisations; the greatest publishing companies, the Grande Compagnie des Libraires in Lyon and the Società dell’Aquila che si Rinnova in Venice, were all devoted to this lucrative business. The civil canon was all about the superiority of the Italian universities, in particular Bologna and Padua, and their critical role in the interpretation of the Corpus Juris. This remained very much a traditional discipline, as the great commentators used in the sixteenth century do not necessarily reflect the prestige of universities at the time. The University of Bourges, for instance, was the home to the esteemed jurists Jacques Cujas and Andrea Alciato. Each local area saw the flourishing of their own customary law, drawing upon the activity of local courts and tribunals, and often developed by their jurists. The Renaissance was the great age for the standardisation of European vernaculars; it was also the time of the invention of the philological method by scholars like Lorenzo Valla. The same intellectuals who compiled dictionaries and vocabularies were also involved in the discussion of the nature of languages, postulating norms of orthography and researching etymological roots. Together these activities were indispensable to the development and stabilising of modern European languages as we know them today. The Italian peninsula was first European territory to seriously tackle the question of vernacular language systematically, which is somewhat ironic when one considers how fragmented Italy was politically. The Italian example was soon followed across Europe. Investigations followed two main strands: on the one hand, thesauruses and rules were developed in the vernacular, while on the other, vernacular roots were examined in relation to Greek and Latin. These investigations led to some major milestones in the disciplines of linguistics and philology, such as the work by Henri Estienne, comprising a Greek Thesaurus and a Traicté de la grammaire Francoise. Later endeavours, often the product of societies such as the Accademia della Crusca in Italy or the Académie française in France, advanced on these early achievements. It’s a measure of their importance that these societies are still in existence and still hard at work with the same enterprise. With the rise in literacy that characterised the sixteenth and seventeenth century, some popular prose texts were published in very large numbers. Collections of short stories enjoyed great popularity; for instance, Giovanni Boccaccio’s Decameron, Matteo Bandello’s Novelle or the Piacevoli Notti by Gianfrancesco Straparola were not only widely disseminated throughout Italy, but reached north across the Alps as well. All of these texts underwent a number of translations – Boccaccio’s Decameron, for instance, into many different languages. German-speaking lands welcomed imported texts, while at the same time producing a rich tradition of their own; a case in point is represented by the proliferation of tales about Till Eulenspiegel, or in Dutch “Uylen-spiegel”. Stories from antiquity were also popular with the public, as is instanced by the many editions of Aesop. As well as a great age for the short tale, this was also the time when the earliest novels began to appear. Rabelais’s Gargantua and Pantagruel, a series of five novels written in the French vernacular, is perhaps the most famous example in this type of work. Highly humorous, satirical and at times a little indecent, it was immediately condemned by the censors at the Faculty of Theology in Paris. It remains one of the seminal works in French literature. Perhaps more successful than the titles mentioned above were chivalric romances, which enjoyed constant popularity with the reading public, despite being part of a medieval tradition. The Amadis de Gaula series holds a special place among these titles and was published in at least 600 editions before the year 600. Such was the popularity of the series that new titles were continually being added to it, and new works touted as ‘a new addition to the Amadis series’. All of these texts were available in a variety of sizes and formats, small or large, illustrated or cheap, a fact which attests to their success across all ranks of society. In 1558 Scottish reformer John Knox published a polemical treatise entitled The First Blast of the Trumpet Against the Monstruous Regiment of Women. The text, directed against the female rulers of the time, cited Scripture in arguing that women had been created unfit to rule by God and nature. If Knox addressed his critique of the feminine gender to prominent women of his day, these were not the only ones to represent the object of discussion. Texts were printed that generalised the condition and character of all women. Women’s ability to be constant in their feelings, apt in their studies or simply good in their nature was questioned. French pamphlet Les singeries des femmes de ce temps descouvertes is a case in point. The topic of clever women of course was not new: already in the Middle Ages, Giovanni Boccaccio had described many astute wives, nuns and virgins. These women were quite different from Petrarch and Dante’s woman-angel, and yet were not necessarily the target of criticism. Rather, the author seemed to admire their cleverness and ingenuity. As women’s level of literacy rose in the early modern period, with the emergence of great authors like Christine de Pizan, Laura Terracina or Vittoria Colonna, it is only natural that a male-centred society would question their role. In many instances, such role was defended, and female writers not only accepted, but also recognised as peers. In others, enterprising, ingenious women were accused of witchcraft, or ridiculed. In so many ways the debate on women remains relevant to our own society, which is also why these texts are still so interesting to us today. The production of medical texts in the early modern period is an area where ancient and contemporary knowledge overlapped. In the first age of print, the medical discipline was stood still much in line with the Galenic tradition: the rediscovery of works by Galen during the sixteenth century enhanced only this trend. If the early editions of these texts were mostly Italian, with the Aldine 1525 edition being the most prestigious, it was the French presses that soon became the masters in printing Galen. Yet Italian universities, and in particular Padua, remained at the cutting edge of the specialism for much of the century. It was here that Andreas Vesalius was able to conduct research for his great anatomical work, De humani corporis fabrica. It was in Padua, too, that visits to a local hospital were first incorporated as part of a medical degree, and where the first botanical garden was created as a resource for medicinal science. In contrast to such academic publications, another side to the medical market were tracts and treatises produced for a much broader audience. For example, vernacular pamphlets with popular advice on how to avoid epidemics proliferated throughout Europe. Small books called ‘ricettari’, often attributed to Galen himself, were formally addressed to apothecaries, but were effectively directed to anyone who wished to consult them. The disease of syphilis was the subject of much literature, both medical and poetical. Some texts, usually authored by travellers and missionaries, discussed exotic treatments found abroad. All of the texts, both academic and popular, reflect strongly early modern practices in medicine and the continual search for cures. Gunpowder is an invention that is sometimes considered to have ushered in the modern age. Although known since the late middle ages, it was only during the Renaissance that it became integral to European warfare. The systematic use of gunpowder changed weapons and military strategies. The use of arquebuses and muskets did not require long training, did not require great strength to operate and worked well from a distance – even the largest firearms could be operated by a single man. Treatises flourished on the topic of gunpowder and firearms, first with Vannoccio Biringuccio De pirotechnia before many another followed. Unsurprisingly, treatises about gunfire wounds also proliferated, and an effective treatment was developed by French doctor Ambroise Paré. Defending against these weapons, on the other hand, required significant changes. As it was in Italy that the use of firearms first became most widespread, it was here too that innovative fortifications were first built. Refortified walls had to resist mighty bombardments: the result was the trace italienne, polygonal-shaped walls that were less susceptible to damage, and were easier to defend from multiple points. Many volumes were printed that illustrate with a wealth of detail the shape and structure of these new fortifications. These volumes were, like all illustrated books of architecture, costly objects. Editions of Guillaume Du Choul’s Discorso sopra la castrametatione, Girolamo Cattaneo’s Libro nuovo di fortificare and Philibert Delorme’s Nouvelles inventions pour bien bastir were among the most valued. Finally, as in most other disciplines, even the emergence of new methods did not mean that classic texts were forgotten. One of the most often published treatises on military tactics in the Renaissance was actually that of Roman author Flavius Renatus Vegetius, whose work ably demonstrated that clever strategy never goes out of fashion. The rendering of notation in print undoubtedly presented difficulties for early modern European presses. Notes need to be aligned according to their position on the pentagram and they need to be legible. Additionally, in the case of vocal music, a line of text needs to be inserted between one line of music and another. This is why many of these texts may still look rather rudimental to us today, despite the fact that they show great technical skills. Most printed music in the earliest age of print was religious. Publishing such editions for ecclesiastical institutions was a safe business, and would guarantee a steady income. Some of the ecclesiastical graduals produced were books of huge dimensions and intended to be placed at the centre of a semi-circle of performers. Printing in both red and black ink made it easier to read and follow musical notation, but this also meant that printing such pages could be funded only by those with deep pockets. The early modern period was also a great age for secular music. Madrigals were one of the most popular forms of music, and their publication allowed many printers and publishers to find a niche in the market: the Gardane and the Scotto firms in Venice are a case in point. Their catalogues were dispatched across Europe, and their editions sold at the quarterly fairs in Frankfurt. Motets were the other pre-eminent form of secular music during the Renaissance, made great by composers such as Orlando di Lasso, Palestrina and Ockeghem. But of course music did not have to be performed by professionals. Leaving unmentioned music that must have been passed on orally, the many printed ballads that circulated as text alone - perhaps as a broadside to paste on a wall - show how much music must have been a substantial part of early modern society. Sensational literature was extremely popular in the early modern period. Readers enjoyed reading about monstrous births (often dutifully illustrated), the sighting of dragons (one was thought to have appeared above Paris in 1579), floods (the Tiber River that runs through Rome was a major offender) and geographic discoveries (Christopher Columbus’s voyages to the Americas were one of the earliest subjects of such literature). Wars and battles were a particularly common topic, and some - the Battle of Lepanto, for example - led to a variety of printed matter being devoted to them. Sieges and treaties were also prominent subjects of discussion. Typically, the titles of these works would insist on the veracity of their account. This was a common feature across borders: expressions such as ‘veritable’, ‘verissimo’, or ‘warachtighe’ appeared in all languages. News books and pamphlets were among the cheapest items issued by European presses that survive to this date; the paper was usually of lesser quality, and the printing types used were often the second or third choice in the atelier. This is because these items were taken to be ephemeral. Large collections of such ephemera, such as that of Fernando Colombo in Seville, represent the exception not the rule. In the early days, news were not periodical, but occasional texts. Entering the early seventeenth century, the earliest newspapers proper began to appear in Germany, and spread gradually to other European territories. Edicts and ordinances represent a very tangible part of life in the early modern age. Each municipality and city-state had to issue specific rules to regulate social interactions within their domain. These texts were published, often by an official printer, and they were disseminated as widely as possible. Broadsheet ordinances may be affixed at crossroads, and a town crier, often preceded by the sound of a trumpet, would proclaim the content for the benefit of the whole municipality. The variant names for ‘ordinance’ – ‘grida’ in Northern Italy; ‘bandi’ in the South; ‘proclamations’ in the north of Europe – all derive from the action of crying their content out loud. This was a legal requirement: a regular formula found in these texts is that ‘ignorance is no excuse’. Ordinances may cover all kinds of topic, from rules of hygiene to be followed during epidemics, to the price of bread, exchange rates, sumptuary laws, and the proper behaviour to be observed on specific occasions. They usually underlined a contingent necessity for order. The stable, long-term legal reference point for a municipality were the Statutes, which contained all ordinances of permanent application. These are usually larger volumes, printed in quarto or folio, and can be rather bulky, unlike individual edicts, which were often printed on a single sheet of paper – sometimes folded into a pamphlet, sometimes left unfolded. Reading these texts today sheds much light on the day-to-day proceedings of an early modern municipality. Rather than being confined to a single genre, the question of morality in the early modern book world made its presence felt through multiple contexts and forms. All sorts of texts could be marketed as ‘moralisatus’, ‘moralised’. The tales of Aesop would often be dressed in such fashion; just so the grammar of Donatus and the Dialogus Creaturarum. Many of these editions were meant for educational purposes, with the idea that pupils would imbibe moral lessons at the same time they learned of other things. Certain texts specifically addressed philosophical and moral topics. One traditional type of text offered precepts for how to die well and easing one’s way into the afterlife. Among the classics, the writings of Cicero, Seneca and Boethius enjoyed a wide circulation, both in the original Latin and in modern vernacular translations. The works of Aristotle pervaded this category much as they did others: the Ethica Nicomachea is a particularly relevant example. Whether in the original Greek, in Latin or in modern translation, this is a text which seems pertinent even to the modern reader, and had such as much appeal to readers from five hundred years ago. Popular contemporary authors were very much inspired by classical philosophers; Erasmus, Agostino Nifo or Publio Fausto Andrelini among these. The quest for happiness, the subject of Aristotle’s Ethics, was a main source of inspiration, albeit that early modern authors added a Christian dimension to the Aristotelian prescriptions. In these texts the old marries with the new, and the moral precepts of the great classics were often rendered in a light that informed the continual quest for contentment in life and ultimate salvation in the afterlife. The sixteenth century poetical world was dominated by the shadow of Petrarch, and much of the poetical endeavours from the time are referred to as ‘neo-Petrarchism’. Contemporary authors strove to imitate Petrarch in all sorts of ways, but especially in the practice of his preferred poetical form, the sonnet. This was true in Italy, but also in France, Spain, England, and across Europe. For the followers of Petrarch, the composition of poetry was an exacting artistic discipline and also a quest for the perfect form of the modern vernacular. So, for example, in France, the poets of the Pléiade, such as Du Bellay, Belleau, Dorat and Ronsard imitated Petrarch as part of their efforts to give the same perfect balance to the French language. The Renaissance was also the age of the great epic poem: these works drew upon the chivalric romance tradition, reviving characters like Roland and Charlemagne, and increasingly embedded in a deeply Christian culture. If Ludovico Ariosto’s Orlando Furioso is a perfect example of Renaissance culture as a whole, mixing Christian beliefs and humanist values with the chivalric tradition, Torquato Tasso’s Gerusalemme Liberata, first published in 1581, was imbued with post-Tridentine feelings, and thus lost some of the joie de vivre that was so typical of earlier endeavours. Lastly, the early modern period was also marked by a great revival in Latin poetry. Poetical production in Latin was typical of the Germanic lands, where a standardised vernacular was achieved rather through devotional literature rather than poetry, and proved a matter of lesser concern to poets. German scholars engaged passionately in discussions of Latin poetics and prosody in editions of texts by Virgil, Terence and Ovid by the likes of Georg Fabricius and Stephan Reich. It perhaps should not be surprising therefore that, in later centuries, the Germans were to pioneer the discipline of classical philology. The value of print as a medium of propaganda became apparent soon after its invention. For those who had financial capital, a large number of texts and images could be disseminated, reaching through all layers of society. This, for example, is how the early French newspaper, the Gazette, was used, a tool of power and propaganda controlled by and speaking for the monarchy. Many earlier political tracts were used in the same way, ranging from royal proclamations, accounts of States General meetings, colloquies and councils, royal pardons and executions. Because these texts were aimed at reaching a varied public, their form could be varied too – some featuring solely illustrations, other text alone, and both in a mix of sizes and lengths. It’s very possible that many were distributed free of charge, to guarantee as widespread an impact as possible. Similarly, much counter-discussion happened through print: many of the anonymous publications in the early modern period dealt with matters that were meant to remain taboo – religious unorthodoxy and political dissent. Many such items were issued in France during the Wars of Religion and the Fronde, in the Low Countries at the time of the Dutch Revolt, or in England during the Civil War. At the same time, political tracts proper were also published, directly relating to the current status quo. These are typically less theoretical than discourses on government and political theory, often in the vernacular, and usually much shorter. They might explain the conditions of a peace treaty, the testament of a prominent nobleman or woman, or perhaps discuss the political consequences of the death of a prince of the blood. Far more than general discussions of government, then, these texts attempt to take stock of recent events, seeking a more stable perspective. Religious books constitute by far the largest category of printed texts in the early modern age. All aspects of life in Europe were permeated by religion: birth and death, urban and rural spaces, taxes and tributes, the calendar and time-keeping, festivities and prohibitions. Many of these topics were discussed through print. The ecclesiastical authorities had normative texts printed and disseminated such as papal bulls. They also printed more local communications such as invitations to processions, indications about jubilees, and, of course, indulgences. Devotional books and broadsheets must have been very common items – the former, portable and cheap; the latter, often illustrated, perhaps to be pinned to the wall in private households. The Church itself needed a whole array of printed items in order to function. Missals, breviaries, graduals, psalm-books were all part of the Christian rite and were printed in Latin in great quantities. Sermons, both in Latin and in the vernacular, as well as guides for preachers, were another key aspect of religious printing. The works of important Christian preachers such as Girolamo Savonarola, Francesco Panigarola and, of course, Martin Luther, were published in various formats and for different pockets. Catechisms, also printed in many guises and sizes, were a guide for priests as much as they were for the general populace: in a time when the Christian precepts became unclear, if not actively called into question, the necessity for normative texts was critical. The compilation of a new catechism was one of the core tasks of the Council of Trent. This was carried out with the contribution of theologians from all over Europe, and their work, together with that of the Church Fathers and the Scholastic medieval tradition, was another large component of printed religious texts. Large theological texts, mostly in Latin, filled the libraries of religious orders, prelates and many secular readers. As in many other disciplines, mathematics in the early modern age was heavily indebted to the classics. Euclid’s Elements was the authoritative text of the time, and Euclid himself the most published author in the field. Equally, for science in general, the Naturalis Historia by Pliny the Elder – a proto-encyclopaedia and a product of a great inquisitive mind – remained the model for work by Renaissance authors. Finally, the work of the astronomer Ptolemy remained a firm foundation for much advancement in mathematics and empirical observation. These three classical authors provided the starting point for much original scholarly work. One remarkable example is the Historia stirpium by German botanist Leonhard Fuchs, a text accompanied by some of the most beautiful illustrations in Renaissance printing. Gemma Frisius continued to work with Ptolemaic astronomical models for his research on triangulation and mathematical instruments. In turn, this allowed for the production of far more precise geographical maps: the great Gerardus Mercator himself was a pupil of Frisius, and astronomer Tycho Brahe praised the accuracy of his instruments. The work of French mathematician Oronce Finé also investigated new ways of designing maps using mathematical instruments. His books were published with some beautiful illustrations, partly as a consequence of his prestige as the royal mathematician of the French court. These texts, taken as a whole with astronomical works, proved pivotal to the effort to find representations of the world that were in line with the most recent discoveries. The early modern age was very much a mix of extremes. On the one hand, most ordinary people scarcely travelled beyond their home village or city for the whole of their lives. On the other, geographical discoveries made by great travellers substantially modified the European vision of the world. The marketplace of print took full advantage of both aspects. Engraved maps were designed and printed, with increasing skillfulness and precision, using instruments developed by mathematicians at the time. The Dutch and the French were prominent in the production of such items, which culminated with the great atlases, such as that printed by Joan Blaeu in Amsterdam between 1662 and 1672. This was not, of course, the kind of book a traveller may wish to take on a trip, given its great cost and size. But many manuals and handbooks were printed with convenience in mind, such as portolans and detailed travelling guides to cities. Guides to Rome, always a destination for so many pilgrims, were perhaps the most prevalent of these volumes. At the same time, many books were destined for the homes of armchair or lectern travellers who were highly unlikely ever to visit the places these books described. Accounts written by missionaries and travellers were extremely popular, and appeared in a variety of different forms – some as news pamphlets, others in book form, and often in more than one volume. The Jesuits were among the most prolific in this activity. Fictional and more fanciful accounts of exploration appeared too, as shown in books of the travels of John Mandeville and Marco Polo. Reading these books and looking at their marvellous illustrations allowed the early modern reader to conjure an image of the wider world without shifting from their home. Whether this image was reliable or not, was of course an entirely different matter. The tradition of announcing and celebrating weddings in print is by no means a modern invention. Occasional publications related to such events were already produced in the incunabula age, with epithalamia printed in Latin, and the tradition never disappeared. The textual nature of these items is often a hybrid between various genres. Some are proper news, typically, those related to a royal or princely wedding, and appear to have been printed in more than one edition. These often describe a royal entry before the wedding, dramatic performances organised for the occasion, as well as ballets, music or masques. The wealth of detail about precious dresses and textiles, processions, decorations, as well as the wedding itself and the following meal, indicate that such texts were indeed composed for those who were not present but were interested in the unfolding of events. The Ordine delle nozze di Costanzio Sforza (printed in Venice by Hermann Liechtenstein as early as 1475) is a splendid example of such texts. Many later editions followed, designed in a similar fashion, usually shorter but of similar content. Others are simply poetical texts in celebration of the bride and groom. However, princely weddings were not the only ones that benefited from the printing press. The bourgeoisie often took advantage of this medium to have bespoke pamphlets to remember the day. These displayed typical features, such as a praise of the bride’s virtue, and were often limited to a short poem in honour of the newlywed couple. A number of epithalamia were printed on a single-sheet, just like a dissertation. Most such items only circulated in very small numbers, and did not really have much of an impact on the marketplace of print, yet they represent one of the most charming outputs of the early modern press. A number of printed texts were published to aid in these proceedings, most famously the Malleus Maleficarum, also known as Hammer of Witches. This text described at length how witchcraft could be identified, and how witch trials should be conducted. First published in 1580 and translated into German and Latin soon thereafter, Jean Bodin’s De la démonomanie des sorciers, recommended abandoning normal judicial procedure when dealing with witchcraft. As well as providing instruction on how to conduct witch trials, texts like Girolamo Menghi’s Compendio dell'arte essorcistica advised on how to exorcise maleficent spirits. Many of these texts stand today as grim testimony to what damage can be done when mass hysteria and prejudice is given free rein; they also stand as resonant documents of early modern belief systems. As well as witnessing technological progress, geographical discovery and enlightened intellectual discussion, the early modern period was also theatre to some of the darkest moments of European history. Witch crazes undoubtedly belong to this category. Although witch trials were already conducted during the Middle Ages, they only became endemic in the fifteenth century and reached their peak between the late sixteenth- and early seventeenth century.